Asserting that the Nigerian drug enforcement agencies are working on to break the nexus between the Nigerian and Indian smugglers, Oladapo, a drug regulator from the African nation, who is in Mohali to attend a two-week training, on Tuesday claimed that the youths from his country, arrested in drug peddling cases, might have been lured into the illegal trade by the smugglers. “The Nigerian government has formulated strict guidelines against drug peddling. It is shocking that so many Nigerian nationals have been arrested by anti-drugs Special Task Force of Punjab for their alleged involvement in smuggling. The Nigerian nationals might have come in contact with wrong people, involved in drug peddling. Some people, who are lured by drug smugglers in India, get influenced and indulged in the illegal practice,” said Oladapo, a drug regulator from Nigeria’s National Agency for Food and Drug Administration and Control, who is attending the special training that began on Tuesday. 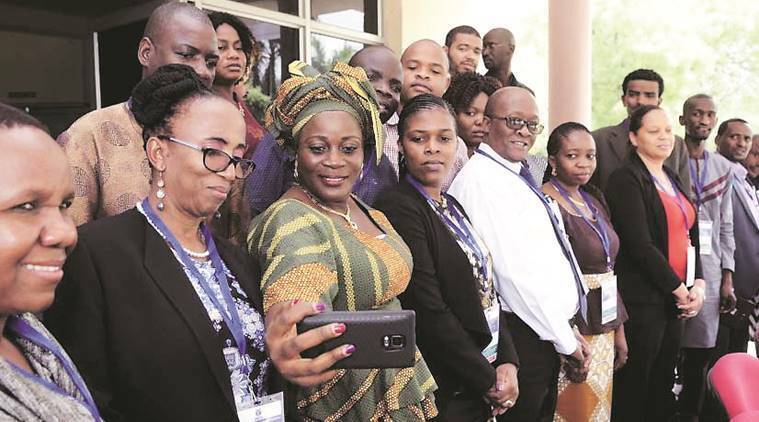 The programme on drug regulatory affairs is being held for regulators, pharmacists and quality controllers from 17 African countries at National Institute for Pharmaceutical Education and Research here. He added they have a separate agency, which keeps a tab on people involved in the illegal drug trade. “Our National Drug Law Enforcement Agency had cracked many cases in the past and is actively keeping a tab on the smugglers. The Nigerian drug enforcement agencies are also working to break the nexus between the Nigerian and Indian drug smugglers,” Oladapo said. About medicines, Oladapo said that the quality of Indian medicines is improving day by day and that they are cheaper than other countries. “We also import drugs (medicines) from China. Earlier the Chinese medicines were of superior quality, but now the Indian medicines are competing with them as the quality has improved. In the recent past, none of the Indian medicine (s) failed any of our tests. We are happy that we are getting the medicines at cheaper rates from India,” Oladapo said. Hamada Sherief, a drug regulator from Egypt, said that they usually import drugs from the USA and European countries, but the Indian medicines are yet to find a place in their market. “Only one Indian company is selling medicines in our country. We do not import any medicine from China. Since the medicines from the USA and European countries are costly, it is a good chance for India to create a market in Egypt,” said Sherief. The programme was inaugurated by the Vice Chancellor of Central University of Punjab Prof. R K Kohli. The course will include recent developments and implementation of pharmaceutical quality by design for pharmaceutics.